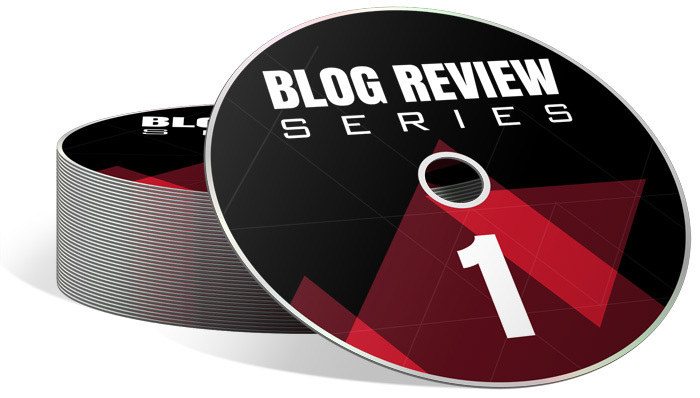 Get Instant Access to My Revised "3-Min Expert Blogging Program - Attraction Marketing Edition" for a Limited Time! 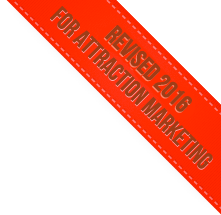 PLUS: 7 NEW Attraction Marketing Bonuses - All Worth Over $3,918 In Value! The cost of the 3 Min Expert - Attraction Marketing Edition is 3 payments of $117 or you can save $54 and pay $297. YES! I do not have an MLSP account, and I want to try MLSP SITES for 30 Days 100% RISK-FREE! YES, I Am Ready for the All-in-1 PRO blog solution to launch my WordPress Blog to the world in 24 hours or less, and I know it requires ZERO tech skills. If you had an MLSP account in the past, and your account became "INACTIVE" more than 30 days ago, you can check the red box above to "RE-ACTIVATE" Your Old MLSP Account for FREE for 30 Days! 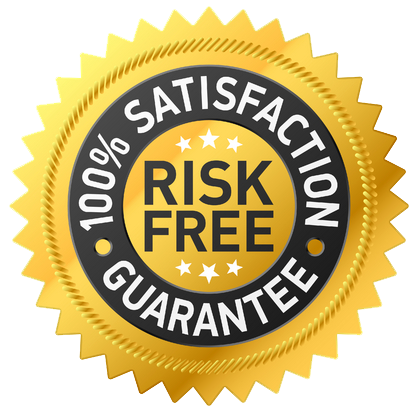 And you can try SITES & MLSP Mastery 100% Risk-Free when you check the red box above, and buy now. A LOT has changed inside MLSP since you left... come see the NEW MLSP & SITES for FREE, and let us help you build your empire. If you ever wanted to build a serious business via internet, this is a once-in-a-lifetime opportunity to set up your blog today with 1 click, and learn how to blog from a 7-Figure Blogger. YOU WILL GET RESULTS. "Everything You Thought You Knew About Building Authority Online is Wrong... Wrong... WRONG! Today, "blogging" and "writing a book" are almost synonymous with "building authority." You want authority in your niche? Write a blog! Write a book! Thousands of people teach this advice and millions follow it. But rarely do the students get the results they expect. This is because the traditional advice is missing critical pieces of the puzzle that will keep you struggling for years. To build authority, dominate your niche, and start making tens of thousands of dollars a month, you must follow a very specific (yet simple) process. This is the same process I've used to make $4 Million+ in sales and commissions. And I'm going to share this process with you. If you've been trying to "get your name out there," publishing content on your website, and doing all the things "they" have told you to do... but you're still not getting the kind of attention, respect, and income you desire... then you need to drop whatever it is you're doing right now and read this letter from start to finish. Most of the things you've been taught about how to build authority online are wrong, wrong, wrong. And not just a little bit wrong... I'm talking DEAD WRONG. Don't believe me? Think I'm overstating my case? According to a study published by blogging.org, a full 81% of bloggers never even make $100 from their blog. I probably don't have to tell you this, but $100 is nothing. You could make more money by collecting shopping carts at Costco for a day. Think about it... A hundred measly bucks for all the blood, sweat, and tears you've poured into building your authority? That's it? Average that over a whole year and it's just 33 cents a day. It's practically an injustice. People in third world countries make more than that! I tell you what, the fact that so many content creators are making basically nothing for their efforts makes me absolutely crazy. Because if you understand how to become an expert... a recognized AUTHORITY in your niche... it's EASY to make six figures a year just from your blog alone. I'm not even talking about speaking gigs, consulting gigs, or all the other ways you can get paid once you become an authority. Add in all these other potential income sources and you could be making 7 FIGURES a year. In just a minute, I'll tell you exactly what it was that turned my life around and catapulted me into the "online limelight." Hi, my name is Ray Higdon. Today, I'm a recognized expert in one of the most competitive niches on planet earth: the home business niche. And within the last year or so, my expertise and influence has expanded beyond my niche and is now being recognized by major players in the online marketing world. But just a few short years ago, I was a nobody. You see, back in 2009 I hit the lowest point in my life. I had already FAILED at multiple home-based businesses. I had FAILED in an advertising franchise that I'd purchased. And my brief career in real estate investing was FAILING big time. I had bought a few real estate programs and overleveraged myself... right at the top of the real estate market. So when the financial crisis hit in 2008 and 2009, everything was falling apart around me. And I was in personal foreclosure. In fact, during all of 2009 I made only... $19,000. That is not a typo. I literally made less than HALF the median household income in America that year... and was within arm's reach of the poverty line. Basically, that means I could not pay for the properties I owned and I was bleeding money every single month. I owed the banks more than a million dollars and they were coming after me... hard. You want to know how bad it was? Listen... my girlfriend at the time (who is now my wife) was working at the cosmetics counter at Nordstrom's just to help me pay my utility bill. 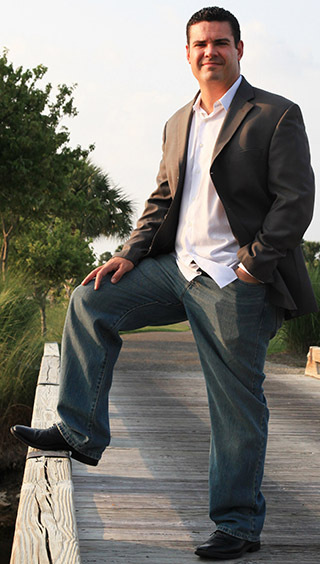 Who is Ray Higdon and Why Should You Listen to Him? 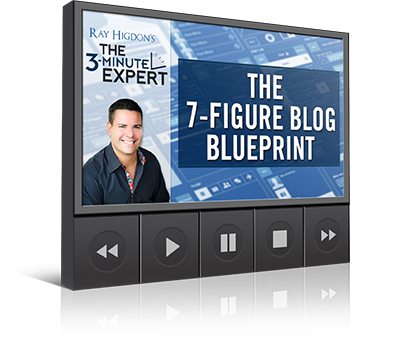 Ray Higdon is a Million-Dollar earner in the home business niche and the creator of the 3-Minute Expert. Ray is the author of not one, but two bestselling books. His popular "Home Business Profits" podcast has now been downloaded more than 1 Million times on iTunes. Ray has been asked to speak all over the world and has shared the stage with modern luminaries like Les Brown, Brendon Burchard, Gary Vaynerchuk, and Eric Worre. Most recently, Ray was interviewed by John Lee Dumas for "Entrepreneur On Fire," one of the most popular business podcasts on iTunes. 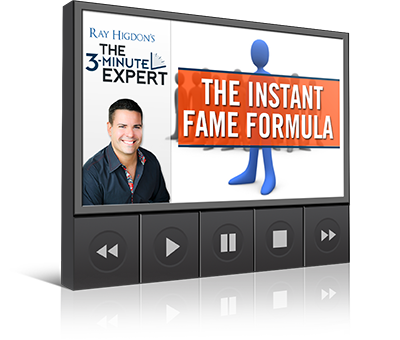 Ray's 3-Minute Expert formula has already been used by many of his clients to double and triple their businesses. At least one client grew his business 10X using this formula. 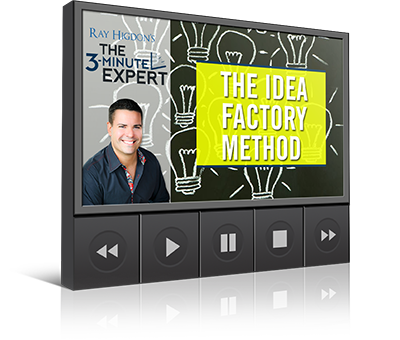 Now, Ray is making 3-Minute Expert available for a short period of time to help struggling entrepreneurs who want a proven shortcut to success. As you can imagine, I was depressed and discouraged and felt like giving up. But in spite of how I was feeling, I didn't quit. I got back up, dusted myself off, and I was more determined than ever to learn from my mistakes and turn all my failures into success. And thanks to the discovery of my 3-Minute Expert formula, financial success came to me faster than I ever expected. My business revenue quickly hit the six-figure mark... and then just kept on going. And in 2013 I had my first $1 million year ever. Since then, my business's revenues have continued to climb. Do I want to impress you by sharing these numbers? Of course I do. If I told you anything else, I'd be lying. It does not matter how often or how badly you've failed in the past. You can STILL become a recognized authority in your niche and finally live the life of your dreams. ...and traveling to exotic locales (sometimes even writing it all off as a tax expense). 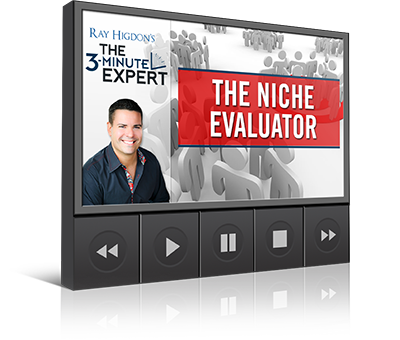 In just a minute, I'm going to tell you more about the 3-Minute Expert and how you can start using it to build authority in your niche. Lean in and listen up... people who are trying to build their authority online make all kinds of mistakes. I covered 8 of them in one of the free training videos I just released. Creating content for PRAISE Instead of PROFIT. All the time, people ask me, "Ray, do you know why I'm not making any money?" It usually doesn't take me long to figure it out. Many times, after looking at their website for a few minutes, I tell them, "It's because you're not asking people to buy stuff." Many people who create content get addicted to positive feedback and social sharing. Whenever they publish something, they want to see lots of comments and lots of shares. You can't eat comments and shares. You can't spend them either. Whenever somebody starts overvaluing comments and shares, they stop asking for money. And guess what? When you stop asking for money... you don't make any money. In the end, you wind up with a happy community of non-buyers... a pleasant bunch of opinionated freebie seekers and spectators who will never pull out a credit card. It might be good for your ego (maybe), but it's absolutely horrible for your bank account. So one of the things I teach my students is how to create monetized content that still gets comments and shares. I realize that might sound impossible, but I promise you it's not. My students and I are living testaments of that. My flagship website makes $3,000 to $5,000 every single day of the week, Monday through Sunday... and that's because I'm using my own formula for getting shares, engagement, AND profit... all at the same time. Examples of Daily Sales Totals My Blog Generated in April and May 2015. 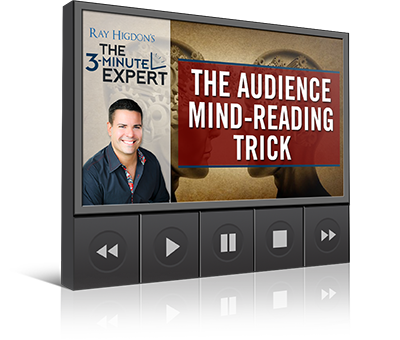 The 3-Minute Expert is my brand new video training program that teaches you how to establish your authority in ANY niche no matter how competitive it is... and turn that authority into a predictable stream of revenue of at least six-figures a year or more. I've poured my heart and soul into this course so that you can begin applying it immediately and get almost instant results - even if nobody knows who you are right now and even if you've failed multiple times in your past (like me). 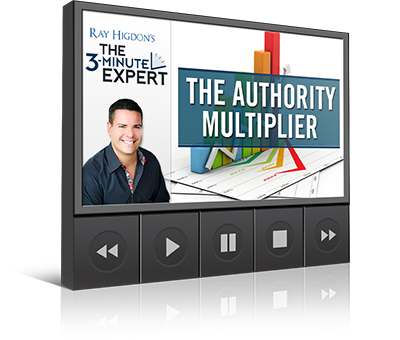 If you've already started a blog, and you've published some stuff, but you're not having the kind of success you want, then you need to put The Authority Multiplier to work immediately. You will instantly start getting 10X the results you normally do... 10X the traffic, 10X the engagement, and 10X the revenue. Do you worry that nobody knows who you are? Or that nobody cares what you have to say? You do? Well, not to worry because, as I mentioned before, I was an absolute NOBODY when I first entered the home business niche. But thanks to the Instant Fame Formula, people immediately saw me as a person they should respect and listen to. And if this formula worked for me, then it can absolutely work for you, too. One of the biggest questions people have is whether they're in the right niche or not. I'll teach you EXACTLY how to analyze a niche so you know whether it's too small or too broad. Keep in mind, I entered one of the most competitive niches on the planet... and still made over a million bucks in a single year. If your business requires a steady stream of prospects and leads... and you're tired of chasing people and prospecting... then you're going to love this module. It'll teach you how to build a "Lifelong Lead Machine" that gets qualified people to SEEK YOU OUT. Once you fire up this machine, it'll be next to impossible to shut off the lead flow. Every week you'll have new qualified people knocking down your door just to talk to you. Can you imagine how easy it will be to grow your revenue and commissions with people coming to you ready to buy? Worried you have nothing to say... or that you'll run out of ideas? This simple method will turn you into an "idea factory"... somebody who ALWAYS has something valuable and interesting to say... every single day of the week! Discover exactly what you should talk about to engage your audience and make them hyper-responsive to everything you say (even if you tell them to buy something). This works even if you don't think you have anything valuable to share! Don't be deceived by the simplicity of this powerful formula... I have a very specific way of writing a P.S. and this technique alone has literally generated hundreds of thousands of dollars in sales for my business. As I mentioned earlier, I did my first $1 million year in 2013 and my online business has continued to grow rapidly since then. So this particular module will teach you how to go from 6 figures a year... to 7 figures a year. This is the same exact blueprint I've used in my own business. The best part: it's simple, easy to follow, and works fast. All you have to do is follow the directions. As you can see, I'm not holding anything back. I'm giving you everything I've learned during the last 4 years of becoming a credible expert in MULTIPLE niches, including the hyper-competitive home business niche and online marketing niche. "I've Earned Six Figures in Less than a Year's Time!" "Anyone who is considering working with Ray should just do it. I earned $75k from June to the end of 2014, and I've earned over $50k, and it's only April, right now. That's six figures in under a year's time, simply doing what Ray has taught me to do!" "I Thought It'd Be Too Hard to Generate Leads Online... Now I Have More than 1,000"
"I just had it in the back of my mind that I could not build a network marketing business. I thought that it would be too hard to talk to people and generate leads online. But Ray and Jessica and such wonderful people, and they give so much value. Getting to know them and being trained by them has been a major turning point in my business. I went from no leads and knowing nothing about Network Marketing to over 1,000 people on my list. And I'm a Sr. Representative in my company, too! I owe my success to what Ray and Jessica Higdon have taught me." "My Blog Generates 10-50 Leads Every Single Week..."
"In my former life, I was an assistant manager, and I worked really, long hours. I always had the dream to do well in Network Marketing and even called myself an MLM coach, but I could never attract clients to myself. With what Ray has taught me, I have been able to gain four, new coaching clients, and they all have have paid over $1k for coaching. Even better, they all agreed to coaching with me in the very, first conversation! My blog generates anywhere from 10-50 leads, every week, and I know how to lead with value, first. I'm learning how to create products, next. What Ray teaches flat-out works!" "Ray's Teaching Helped Us Generate $700,000+ in Revenue in the First Year"
"My Blog Grew from $100,000 to $1 Million When I Used Ray's Blogging Strategies"
"I Can't Remember the Last Time I Didn't Have a 5-Figure Month... "
Are these folks any different than you? Not at all. They simply put their doubts aside and decided to put my training to the test. I am passionately committed to my clients and students. And I'm proud that we have so many students who've been able to transform their businesses (and their lives!) using my courses and programs. And the 3-Minute Expert might be my most powerful program yet. The 3-Minute Expert is an online video training program that teaches you everything you need to know about building authority... growing your audience... and generating leads and sales automatically every single week. Who Will Benefit Most from the 3-Minute Expert? Local businesses who want to dominate their local niche and become the go-to company for the product or service they provide. Bloggers who want to get more traffic, more shares, and more sales. Freelancers who want to become highly paid and highly respected experts in their niche. Network marketers who want a proven method for building authority, generating leads, and attracting new team members. Speakers who want to achieve celebrity status and fill their calendar with lucrative speaking gigs. Any business person who wants more authority, more leads, more sales, and more income. As I demonstrated above, my students have used my training to build 6-figure and even 7-figure businesses. So how much do you think the 3-Minute Expert will cost? For some context, a full day of consulting with me runs $7,000. 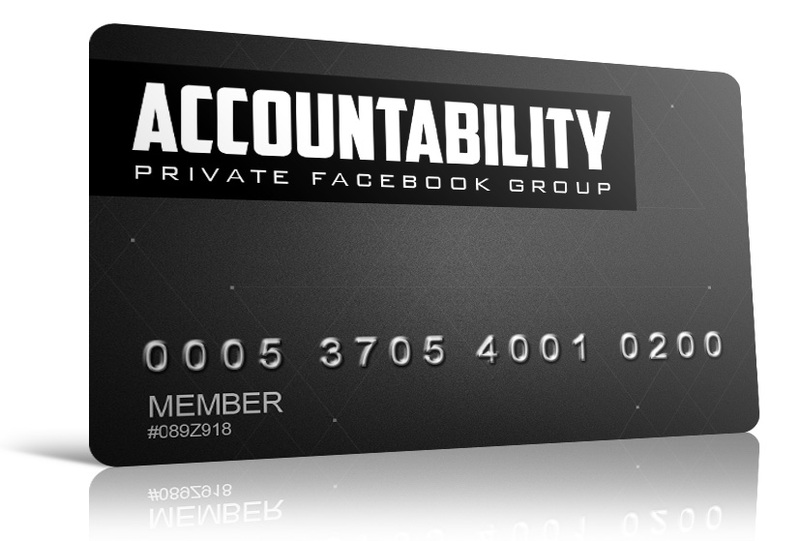 And every year I sell access to my private mastermind group for $54,000. Now with 3-Minute Expert, I considered charging $1,000. I think that would be a fair price given the specialized knowledge I'm teaching and its potential to supercharge your business. But I don't want to make this a financial hardship for you. Not to mention, I'm really passionate about exposing all the bad information out there and making sure you have the best possible training to become an authority in your niche. So with that in mind, I've decided 3-Minute Expert will only cost $297. 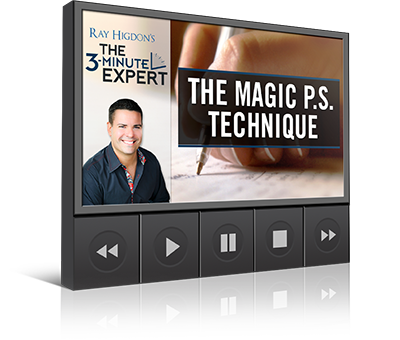 So for a limited time, you can get full instant access to the 3-Minute Expert for just $297. And if that still feels too steep for you, you can take advantage of my payment plan of three payments of $117. Think about it... for just $297 (or three payments of $117), I'm revealing ALL of the strategies, techniques, tips, and tricks that I personally use to make $3,000 to $5,000 a day from my blog. A basic 3-credit course at a community college (not a full-blown university) can run you $600 to $1,000... not counting the textbook. And what does that get you? Not very much. The way I see it, $297 is hardly worth thinking about compared to the authority, respect, and prestige you'll soon have... not to mention the kind of money you could soon be making. That's because the 3-Minute Expert isn't a cost at all... it's an investment. An investment that could pay you back 10 times... 100 times... or more. In fact, if you're anything like my star students, you could make back your investment with profit within the first 30 days of getting access to the 3-Minute Expert. I guarantee you're going to love the 3-Minute Expert. In fact, I'm so convinced of this that you can try it risk-free for 30 days. Sign up today with either the 1-pay or 3-pay plan. Then take the next 30 days to go through the video training and begin applying it. If you're not completely thrilled with your decision, just contact my customer service by Day 30 and we'll give you a full refund of what you've paid up to that point. The Most Powerful "All-in-1 Blog Solution" to Launch Your Wordpress Blog to the World in 24 Hours or Less Even if You're Brand New Online! TO PROVIDE 'SITES' TO OUR MEMBERS, IT'S COSTING MLSP A TINY FORTUNE... BUT OUR MEMBERS DESERVE IT! This private group already has close to 1,000 members inside, and this group is VERY active. Inside this group you will be able to get any and all of your questions answered, and you will be able to share your blog posts in this group for some serious love! Imagine hundreds of bloggers just like you who are salivating, waiting to comment, like, and share your brand new blog posts as you go through the 3 Min Expert... PLUS this group will help you get your blog online fast with MLSP SITES! This is insanely valuable for your business, your brand, and your blog, and an easy $497 real-life value! 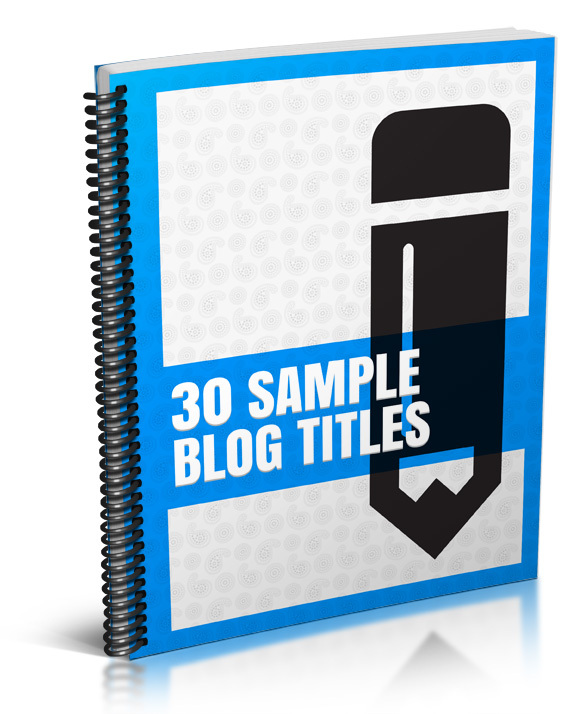 Adapt the blog title templates shared with you in this training to any blog in any niche. They are flexible, age-resistant, and impactful! Not to mention, they make writing blog titles fast and easy. It's a fact: blog posts with high quality images get shared far more often than blog posts that don't use an image. So if you've ever seen images that "pop" with HD-level quality and grab your attention, this tutorial will show you how to create them for yourself! And I'm not just talking about basic images here... 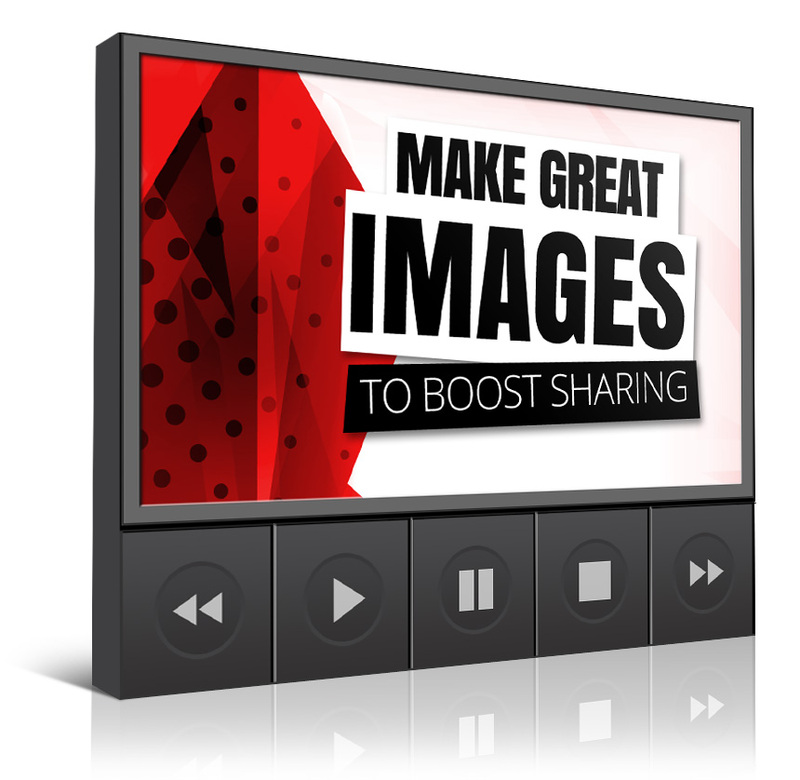 I'm talking about images that have been customized with text and your personal brand. Do I cover content creation in the 3-Minute Expert. Absolutely. It's a big part of the course. 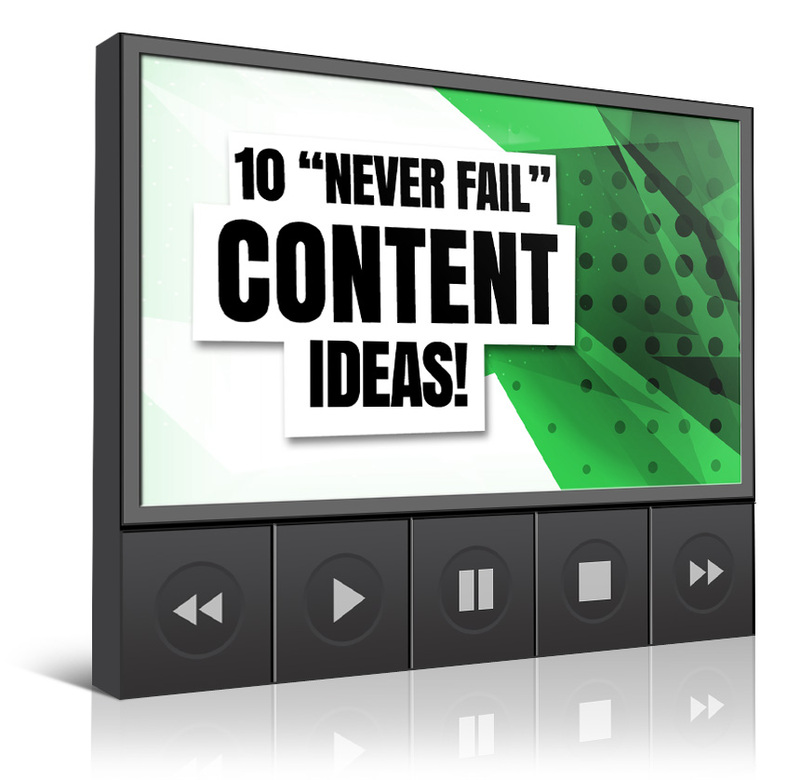 But this bonus gift covers 10 specific "never fail" content ideas that you can use anytime you're not sure what to talk about. These ideas are like magic. Use them and you'll go from feeling "stuck" to feeling inspired in minutes... and your content will be created and ready to publish in no time flat. 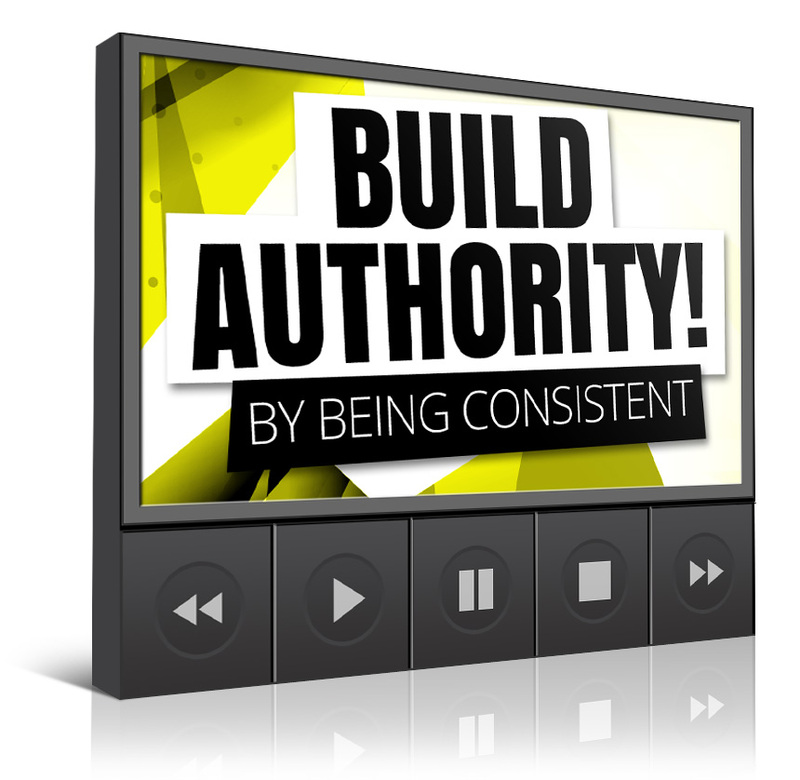 Consistency is one of the single most important traits you can have for building your authority and your business. This training gives you the power and insights you need to lock in your habits and establish a super-consistent daily routine. Watch videos of previous blog reviews to make sure that you've done everything right on your own website. Ray dive's deep in to not only layout and design ideas but also theory on some of the most frequent (and damaging) mistakes make by bloggers when setting up their sites. You'll have access to 6 separate recorded question and answer sessions. Just about every question you can imagine is covered in these Q&A sessions. You can use these opportunities to fill in any gaps that might exist in your training. In this 7-video mini course, you'll learn all about a stunningly simple (yet wildly effective) method for driving traffic to your website. This method costs far less than traditional advertising, and it will help you boost the value of every visitor that ever comes to your site - even if they only stay for a couple seconds before leaving. 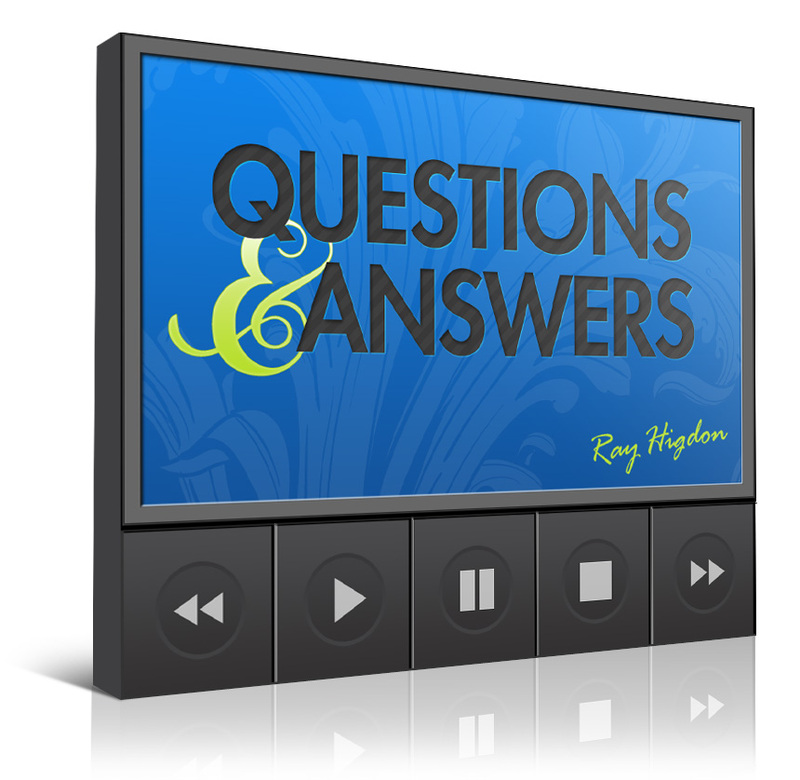 When we first launched 3 Minute Expert, Ray hosted 2 invaluable Q&A sessions with our students. As you dig through the 3 Min Expert - Attraction Marketing Edition, and you set up your very own professional SITES Blog in minutes, you will probably have a few questions specifically about your business & brand... And we guarantee that the majority (if not ALL) of your blog & marketing questions about becoming the expert in your niche are answered inside these 2 recordings. 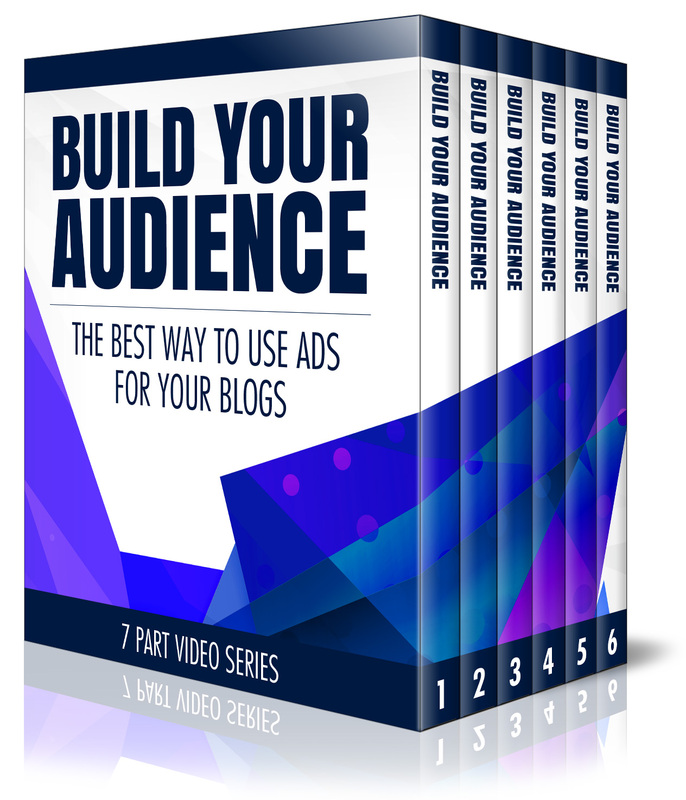 These are POWERFUL sessions with a 7-Figure Blogger. How to leverage the high-converting MLSP offers, giveaways, and trainings to never run out of content ideas for your blog again... ever. 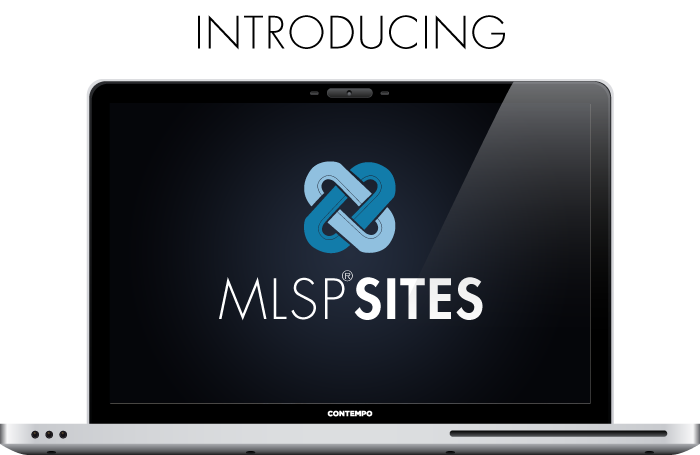 This is one of the fastest ways to get leads, build your list, provide value, serve your market, build relationships, and earn money today as an MLSP affiliate without having to create your own offers. LEVERAGE. 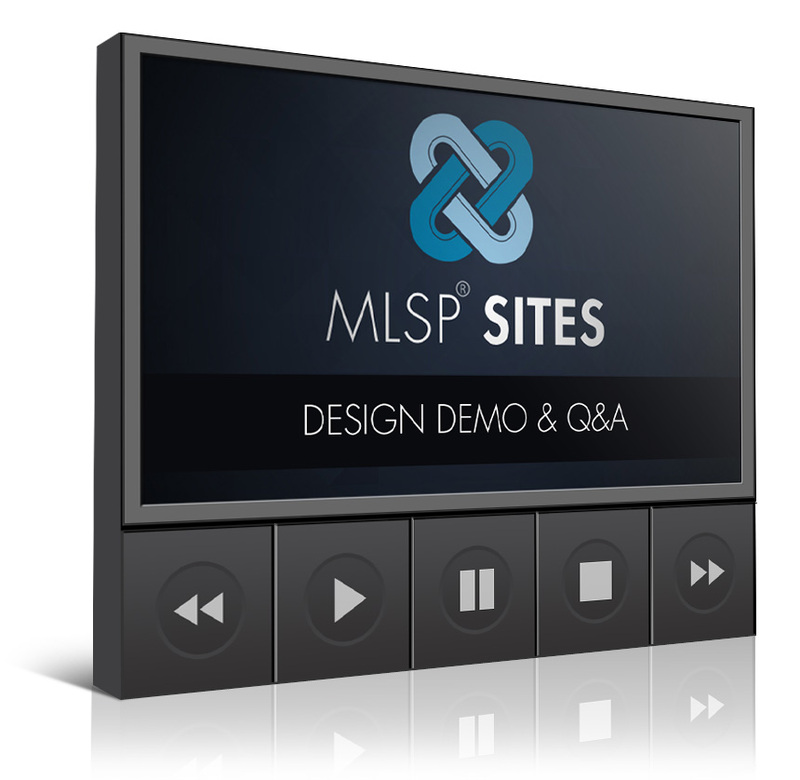 In just 3 clicks you will have your very own self-hosted WordPress blog with MLSP Sites! And we're going to take you by the hand and show you how to navigate the powerful WordPress back office in under one hour - everything you need to know to start blogging today. P.S. - Even if you're a WordPress Blogging Pro, this bonus will show you things you didn't even know was possible with Wordpress! As a SITES user, you instantly have access to the best 30+ PRO plug-ins (the paid versions that you won't have to pay for) & proprietary plug-ins for SITES users ONLY... and they are already installed for you! 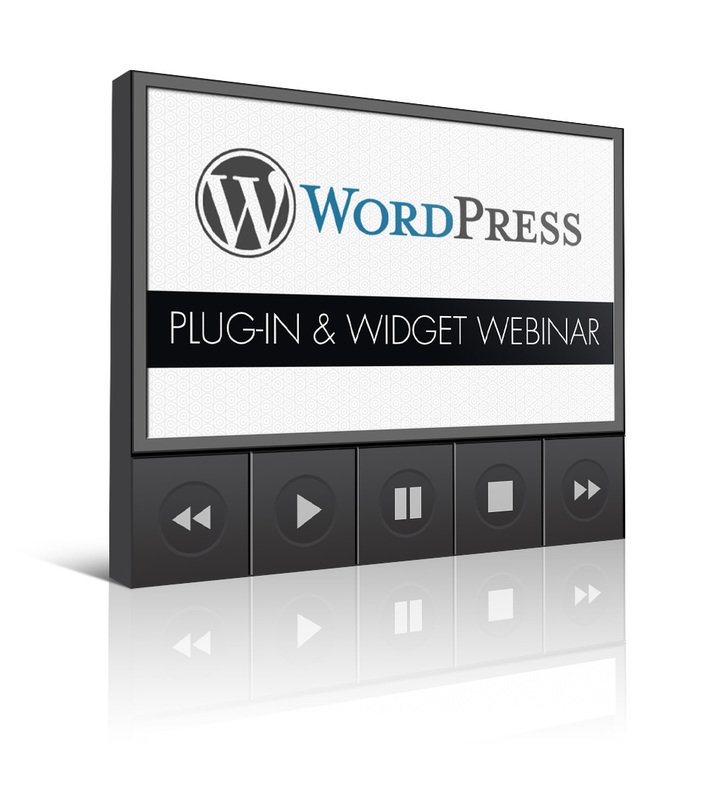 We're going to walk you through every plug-in and widget, and what they do for your blog. We'll show you how to easily put an 'offer' and opt-in form on your blog sidebar in minutes so you can collect leads and start building your list. We will also show you some very simple blog layout and design options… Your blog will be ready to LAUNCH TO THE WORLD after this bonus! As a SITES user, you will have access to the world's premium designs and themes. This very thorough bonus will help you decide which design / theme is best for you based on your experience level and goals, and give you simple design hacks to make your theme look amazing out of the gate - ZERO TECH SKILLS REQUIRED. 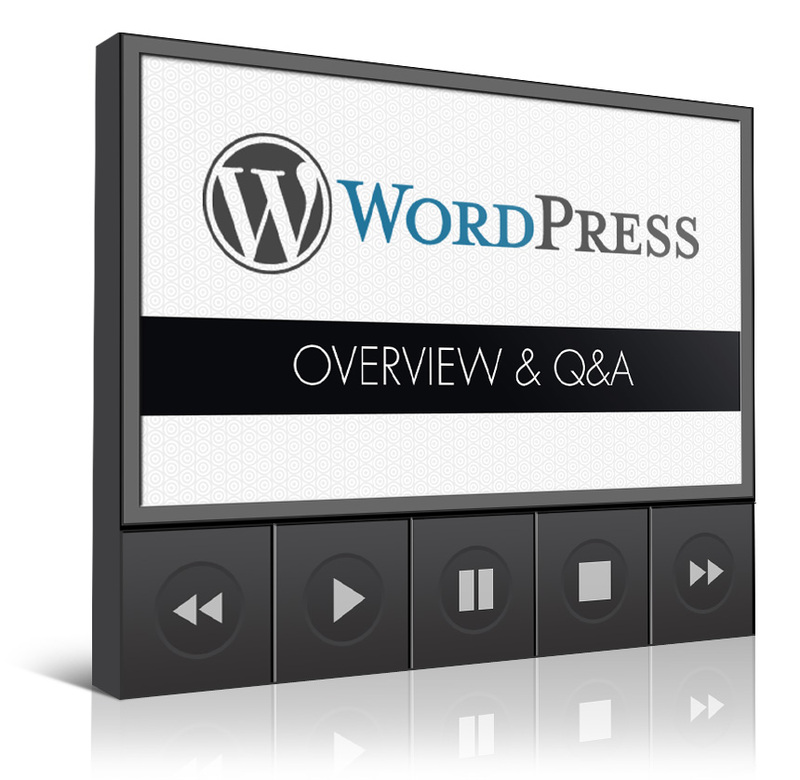 There is also a VERY in-depth Q&A session in this bonus that will answer pretty much every remaining Wordpress & Blogging question(s) you can think of… guaranteed! We reveal 3 amazing design solutions that will alleviate you ever having to pay a designer THOUSANDS of dollars to design your blog. These 14 Bonus Gifts Have A Combined Value of $3,918...and they're all included FREE when you become a 3-Minute Expert student today. for such a small investment! Right now, you've got a decision to make. You can either close this window and try to forget about the 3-Minute Expert and how it might've changed your life. Or you can click the order button below and get instant access to the entire 3-Minute Expert video training program. More authority, more recognition, more leads, and more sales are all just a couple of clicks away. So choose the 1-Pay plan or the 3-Pay plan... but whatever you do, click the order button now and sign up for the 3-Minute Expert today. I believe with all my heart this will be a major turning point in the success of your business. Let's do this! P.S. The principles, strategies, and techniques I teach in the 3-Minute Expert took me from personal foreclosure in 2009 to my first million-dollar year in 2013. While I can't promise any specific results, I can promise that what I teach really works. All you have to do is follow the path I've laid out for you in the 3-Minute Expert. Click here now to claim your HUGE savings (expires soon)... and get instant access to the 3-Minute Expert plus 14 bonus gifts valued at $3,918. "I Went from $35K a Year to Having $10K Days"
"Ray Helped Me Double the Revenue on My Last Product Launch"
"My Business Grew 400% in Less than a Year!" Before learning Ray's system, getting my name in front of people in a cost effective manner was my biggest struggle. I had tried magazine publications, direct mail, and newspaper ads. I was spending way more than I was making each and every time. After implementing the 3 minute expert and utilizing some low cost Google ads, my business increased 400% in less than one year, equating to well over $400,000 in additional revenue! If you are serious about increasing your business, no matter your specialty (Ray knows ZERO about generators), you simply MUST learn his system of blogging and marketing, it simply works! "My List Is Now 8 Times Bigger!" "Ray, the Make Money Blogging training was exceptional! Before your training I had done a lot of post but was getting no traction. Your training helped me create better content, write better title copy, learn how to promote it, how to utilize better call to actions, how to use keywords and how to stay congruent by providing relevant value to my target market. The tweaks that I learned I needed to make did not seem like a big deal, but after implementing what you suggested, it all came together. Now my blog looks amazing, generates leads (my list has grown from 1,000 to 8,000), has shown me as a credible resource and now I have sales from my blog post being made consistently! THANK YOU RAY!" 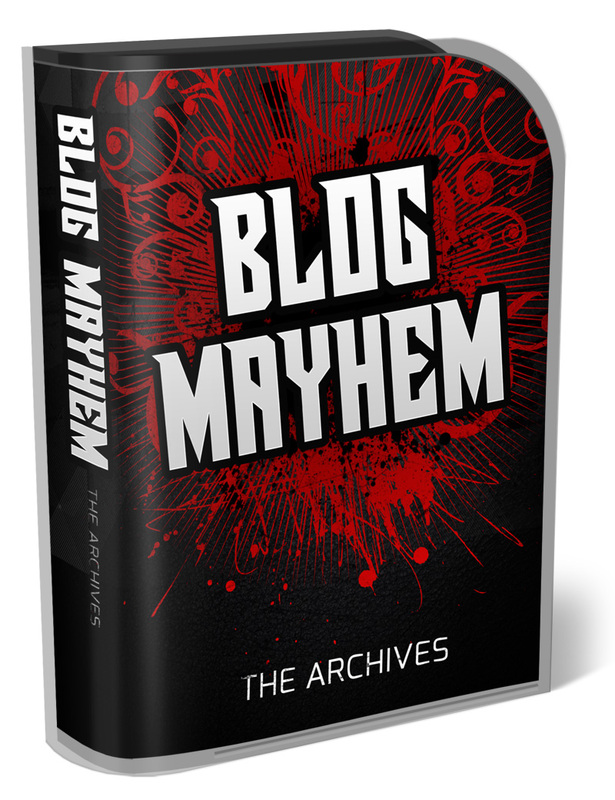 "My Blog Wasn't Getting Traction Until I Implemented Ray's Advice"
"I have been blogging for almost a year now. Wasn't getting great traction on my blog until Ray reviewed it and recommended some changes. We did as he suggested and got over 1500 hits on our blog and offers within 24 hrs of making the changes. 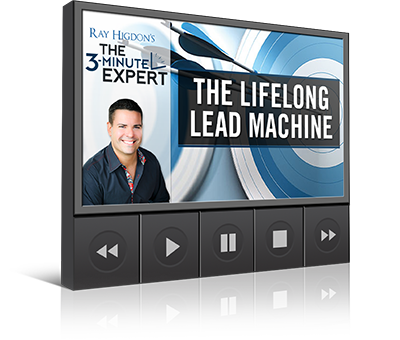 Amazing training Ray Higdon gives." "I'm Getting in Front of More People than I Imagined!" "Ray's blog training is SPOT ON! Not only is it practical and something you can put into effect IMMEDIATELY, this guy practices what he preaches and has gotten amazing results himself FIRST so you know it works! I am showing up in all kinds of keyword searches and getting in front of even more people than I imagined because of it! I'm ready to turn my six figure year into seven!" "We Doubled Our Income... And We Were Making $1 Million a Year Already"
"1 Thing Ray Taught Me Has Put at Least an Extra $20K in My Bank Account"
"This is The Best Investment I've Ever Made in Myself"
"It's 3 a.m. Now and I'm Blaming You Because I Was Going Through the 3-Minute Expert Course"
"If You Want to Explode Your Business on the Internet, Learn from Ray..."
"Making One Tweak to My Newsletters Resulted in Massive Increases of People Clicking Through"